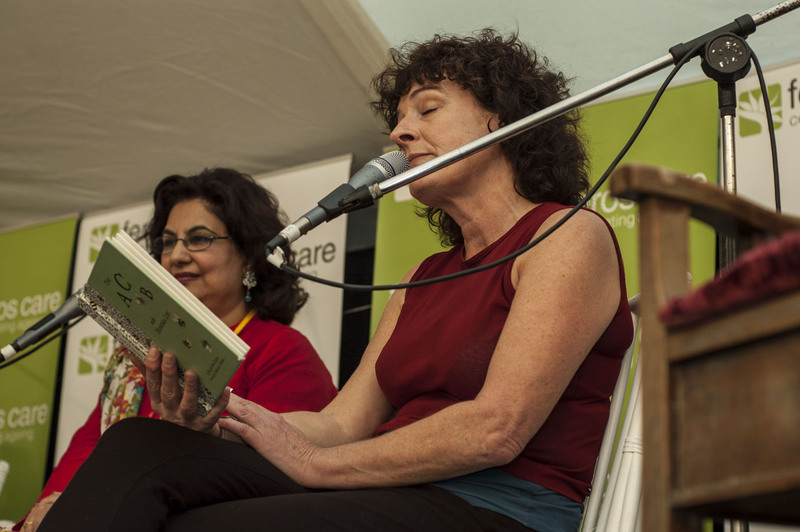 The short story can be a challenging form, as the writers in the Small Gems session, Maxine Beneba Clarke, Kate De Goldi, Qaisra Shahraz and Abbas El-Zein, agreed. More is omitted and inferred than is included. Kate De Goldi, a writer for all ages, referred to these examples as “flash” or “micro” fiction, rather than “short stories”. According to De Goldi, flash fiction is powerful because “everything takes place in two lines.” With careful use of heightened language all possibilities are contained within these two lines. El-Zein expands on this idea, adding that micro fiction implodes within text, whereas novels explode from text. In this sense, he says, flash fiction is more like poetry. Beneba Clarke regards the flash fiction as a very difficult form, a real “slash-and-burn process”. For this reason, she can’t understand why flash fiction, in Australia, is regarded as a lesser art form. Benebe Clarke expects her background in poetry has made her shift into the longer form quite complicated, as she has the habit of using extremely intense pithy language and has to add the padding in later. De Goldi recommends “discontinuous narrative” to avoid having to “pad your work out”, which is – in her experience – the easiest way to write a novel. She holds Alice Munro in high esteem, claiming that Munro’s short stories encompass the entire world and whole lives, keeping them contained within such a constrained form. Following a request for advice on how to finish a piece of work, the panel provided the audience with four very different responses. On the other hand, Beneba Clarke has a phobia of the open blank Microsoft Word document, and dwells on ideas for a long time before attempting to write them down at all. And finally, El-Zine combines dwelling-on and fleshing-out ideas all at once.